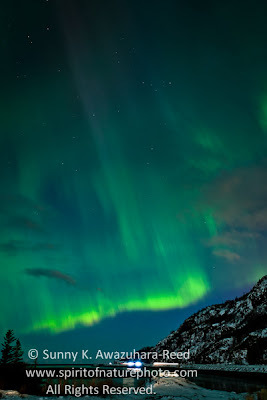 The winter season 2012-13 were among the best to view northern lights due to high solar activity. Northern lights most often appear in the high latitudes around the Arctic region. When I lived in Fairbanks (300 miles south of the Arctic Circle), I witnessed the aurora several nights a week during the winter months. 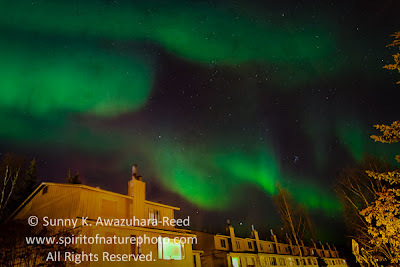 Now I'm in Anchorage, 300 miles south of Fairbanks where the aurora displays are rare. 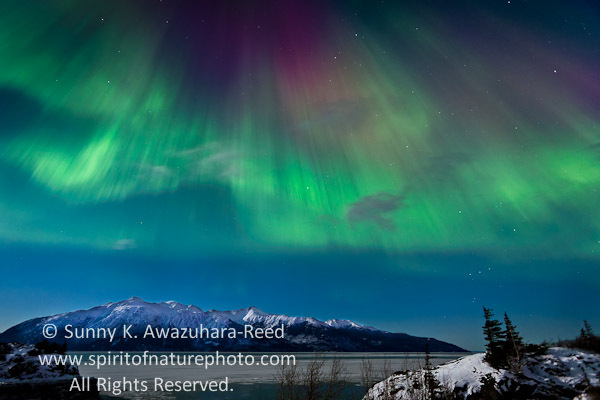 When the solar activity is strong, occasionally the northern lights dance above Anchorage and the southern region of Alaska. It was on one of these rare nights following a magnetic sun storm that bright green aurora waved above the city! 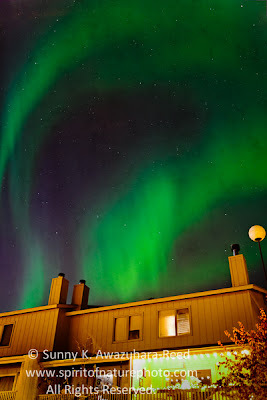 I happened to see the lights from my front door in a residential area of East Anchorage around 8pm. The lights must have been very intense to be visible with the city lights. On another day, the aurora glowed brightly above Cook Inlet in south Anchorage.